Wait, I Don’t Live in Andalusia? Sunday night I was waiting in line at the grocery store and felt on my fingers for my rings. Except I don’t wear rings. Those are part of my costume. After nine straight days of rehearsal and performance, it’s odd to return to the real world. When I left the theater after our last show of the first weekend of Christmas Revels performances, my carpool-mate and I both needed groceries. 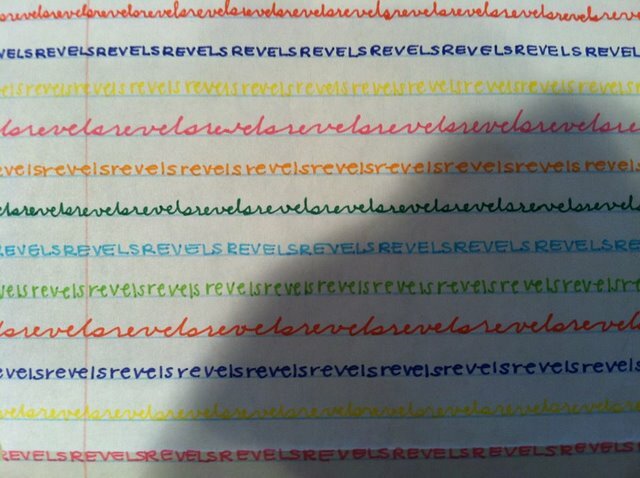 We walked into Trader Joe’s and I said, “Whoa, people who aren’t in Revels.” It was a little overwhelming to be in a brightly-lit space full of people buying food. No adorable children were dancing with eggplants or anything. After I’d started writing this, Meghan Siritzky, a member of the teen chorus, put in a special request via Facebook for a blog post about surviving Revels withdrawal. I don’t really get Revels withdrawal anymore – the fact that it keeps coming around every year helps. And, honestly, I’m relieved to have four whole days when I can pay attention to my neglected work and I don’t have to put on makeup or remember my lyrics. But it’s nice to know that I’ll be back in Andalusia Friday night, for the start of our final five performances. Anyone else have any suggestions for Meghan?